As we all know, we are slowly going coming up at the end of July. To be honest, it feels like summer vacation is going by a little too fast. The next school year will be arriving soon, but let’s not forget how much time there is until that’s here. Meaning you can still do plenty of activities, plan more trips, and have loads of fun. Summertime hasn’t ended yet so why should you stop? Now, having fun is one thing that we all think about above most things. Although, a lot of families take home security into consideration as well. It’s important to be able to look after your home when you’re there and even when you are not. Technology has advanced to new heights and has continued to grow. There are indeed many options, but I think I have just the solution for you to consider. 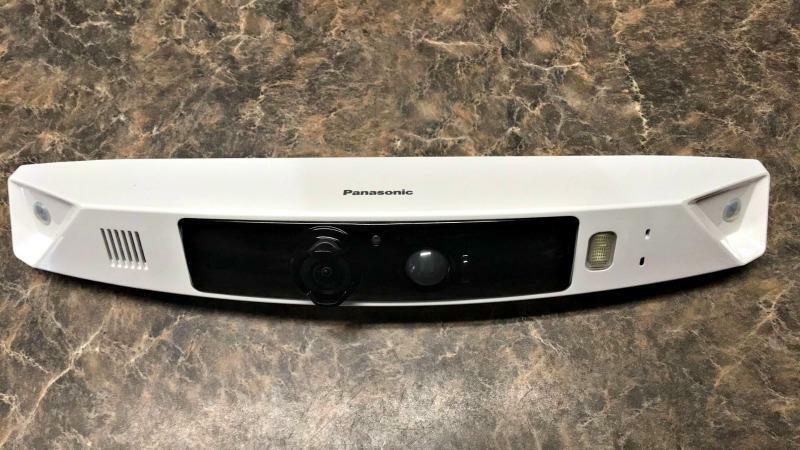 Those who are familiar with the brand Panasonic know that their products are amazing. From their cameras to their home accessories, you’ll always find something dependable. Now, in the sense of home monitoring systems, you are in for a treat. Many want to plan a worry-free trip away from home but want to watch over their home too. Well, now that can be achieved with the help of their HomeHawk Smart Home Monitoring HD Camera System. 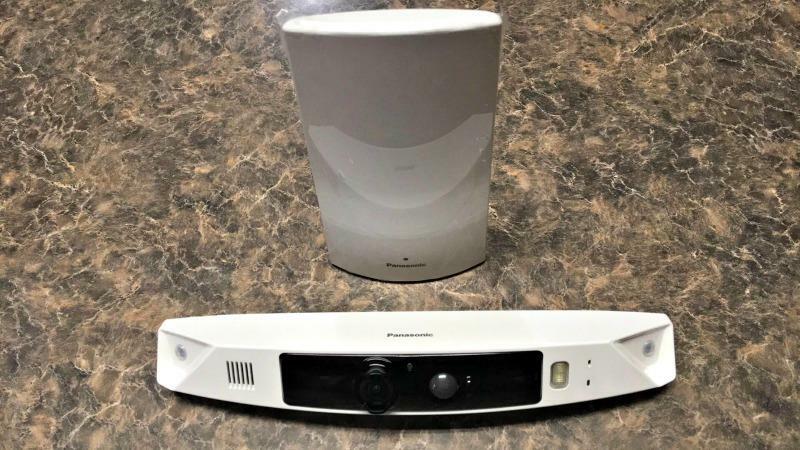 Home monitoring has never been any more simple, effective, and secure than with the new HomeHawk™ by Panasonic! One of the many things people worry about when away from home is their packages. HomeHawk™ has an exclusive package monitoring mode. What it does is notify people near the front entrance that the premise is being monitored! Even while you are away, you’ll know what’s going on at home. These products offer HD video quality along with a weather-resistant design. The front door cameras’ 172° angle of view thoroughly covers front door top to bottom and porch left to right in full-color day or night. So no matter the time of day you won’t miss a single thing! Technology will be around for many years to come, so why not use it to the best of our ability! Check out all of the information I have for you above. One WINNER will win the prize above. Sponsor is responsible for sending out the prize (not KTOT) please allow 4-6 weeks. US ONLY! Good luck! No security system but need one. A neighbor has had some trouble in the past. No I don’t but I have been thinking about getting one. I have an outdoor security system. No, we don’t have one. It would be nice to feel a little bit safer. No, we don’t have one, but we have been researching online which one we need. i would love the added security as i live in an apartment complex and i could watch whos coming and going. Would love to feel my house Is safe while I’m out and I could check up on what’s going on. Yes I do! I am looking to find something for my son! I would feel safer with this. I got a dog to protect the house, but he sleeps all day. No I don’t have a security system but I would feel much safer with one. We have some small window alerts but have wanted cameras for a bit! No we don’t, but it is definitely needed. Yes, I do and we pay the monthly fee I feel more secure though and love it. No, I do not have a security system now but I would love to try it soon! We have a basic one that certainly doesn’t have any of the latest technology. No we do not but need one badly. I have a security system but no camera. We have an old school system sure need this one so badly. I love that it is wireless. I do not have a security system set up now, but I do want one. I do not have one right now but would love one. I have a security system but wish I had some additional security. No we don’t, and my husband works nights. We really need one.